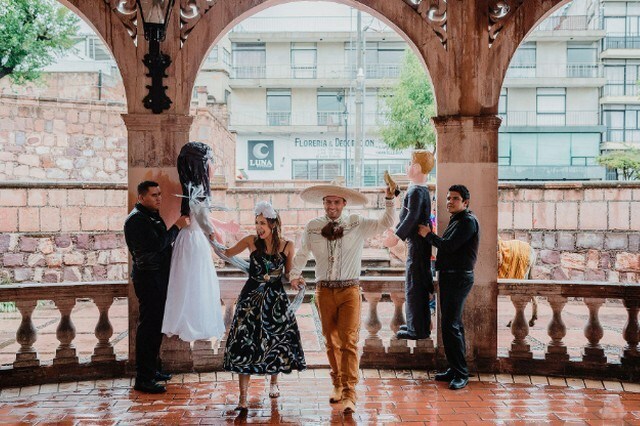 In Mexico: A bullfight in a hotel room! Fans of bullfighting will give you the reasons for their passion for bullfighting. 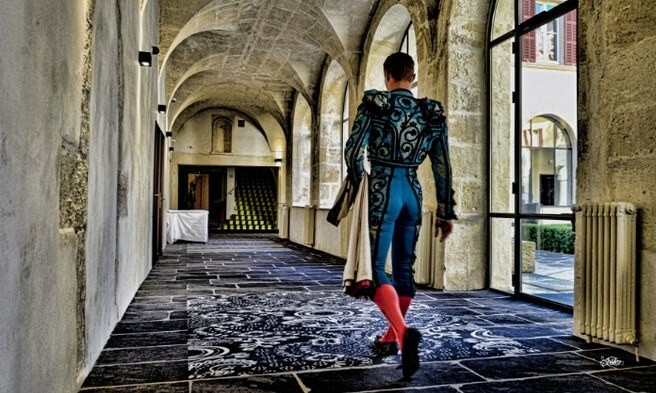 « To get completely lost in the ritual, you have to understand that the bull can kill the bullfighter at any time. He does something you can never or will never dare do yourself. That’s what’s so exciting. » And there are opponents who denounce the slaughter of thousands of animals in arenas in Spain, France and elsewhere. They evoke a barbaric tradition that has no place in the modern world. But you will hear very little about these unfortunate bulls!! The San Pedro Arena, located in Zacatecas, Mexico, was inaugurated on September 15, 1866. The great toreros of a certain period have been there, such as Bernardo Gabiño, Lino Zamora, Epifanio del Río, Ponciano Díaz, the Spanish Luis Mazantini, Rodolfo Gaona… but the last bullfight took place in 1975. It is one of the most unusual hotels in the world. 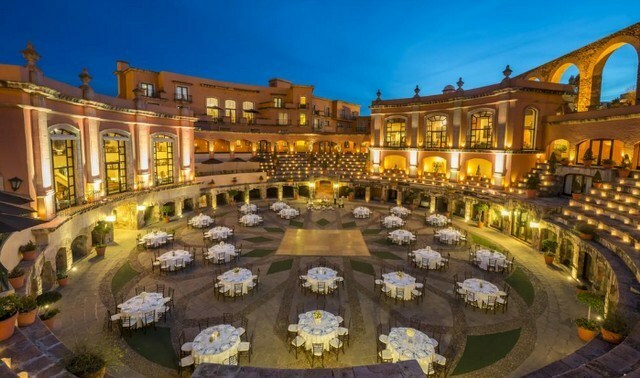 Hotel Quinta Real Zacatecas now surrounds the arenas of San Pedro. The hotel faces the city’s former arched viaduct. So what was once the bull square is now the hotel’s patio, where there is a fountain and different types of vegetation. In addition, in the « toriles », the space where bulls are locked up before the bullfight is the El Ruedo restaurant. It has been distinguished as the most beautiful establishment in the country, with the International Prize for Architecture, for the respect of the original structure. 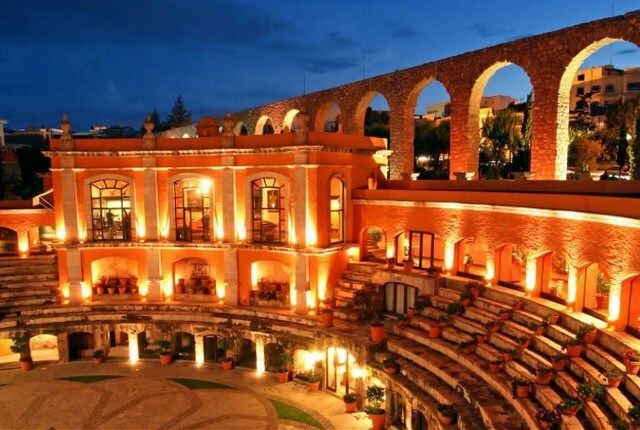 Quinta Real Zacatecas is also a founding member of « Historic Hotels Worldwide » since 2013. Allying the luxury of a modern hotel composed only of suites with the splendour of an original colonial architecture. Your bed is embedded under a stone or wooden arch, in harmony with the hotel’s splendid colonial architecture. Several rooms also overlook the main square. Quinta Real also has a gym, whirlpool baths, air conditioning, meeting rooms and Internet access, among other services. The owners did not go all the way. We must please as many people as possible. The hotel provides the setting for a memorable dinner. La Plaza Restaurant serves Mexican and international cuisine. The bar El Botarel, with its colonial atmosphere and concerts, is open from 6pm to 1am. Both are beautifully decorated and overlook the arena square.